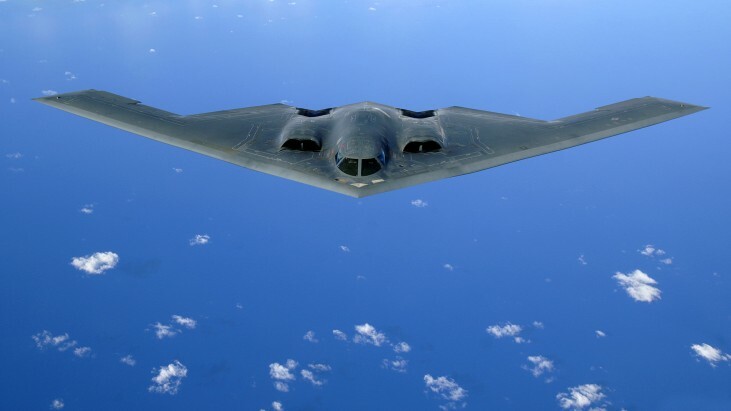 The Northrop Grumman B-2 Spirit (also known as the Stealth Bomber) is a multirole heavy bomber with “low observable” stealth technology capable of penetrating dense anti-aircraft defenses to deploy both conventional and nuclear weapons. Because of its considerable capital and operations costs, the project was controversial in Congress and among Pentagon brass during its development and placement into service. 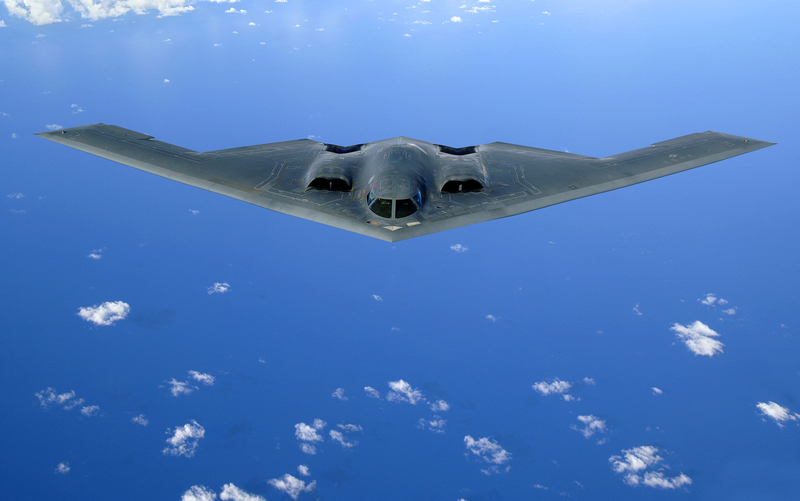 During the late 1980s and early 1990s, the United States scaled back initial plans to purchase 132 of the bombers. By the mid 1990s, Congress made appropriations to purchase a total fleet of just 21 of the bombers.